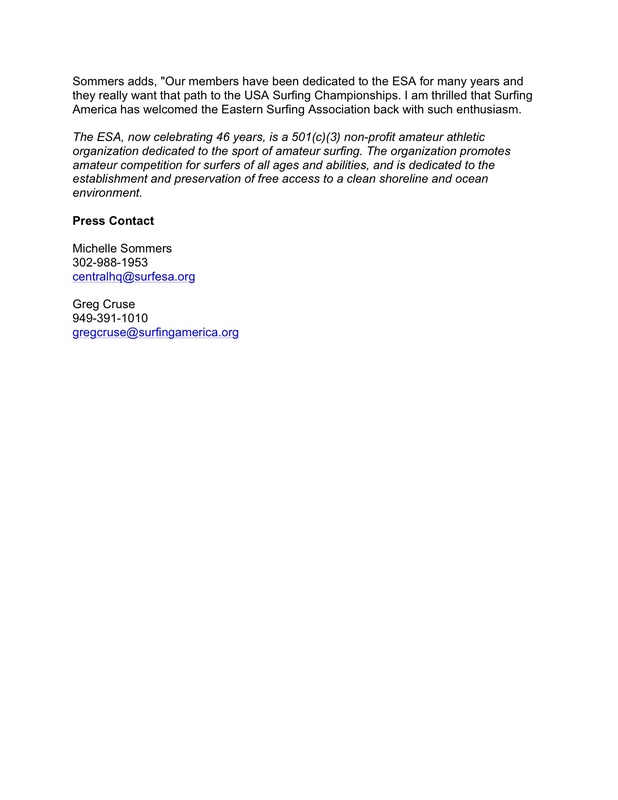 Breaking News – Making Waves – Eastern Surfing Association and Surfing America Realign !! 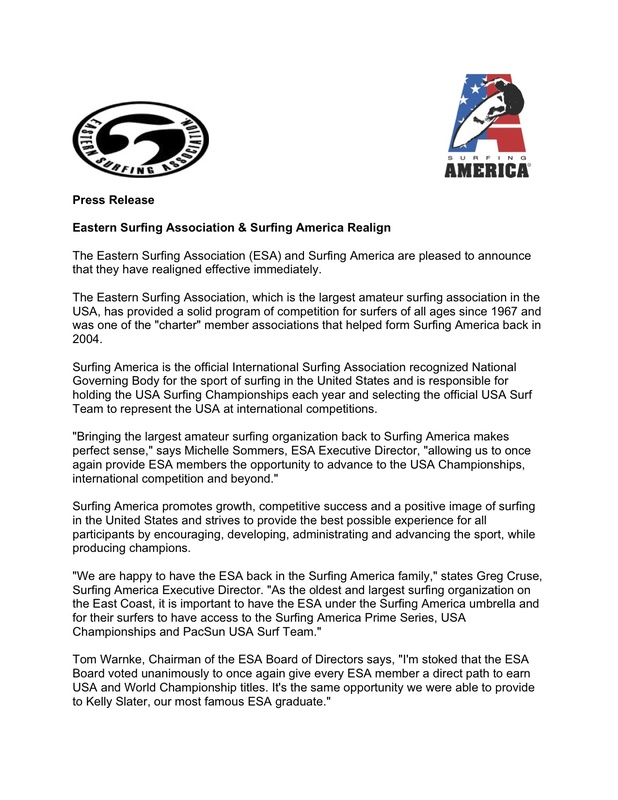 Eastern Surfing Association and Surfing America Realign ! !